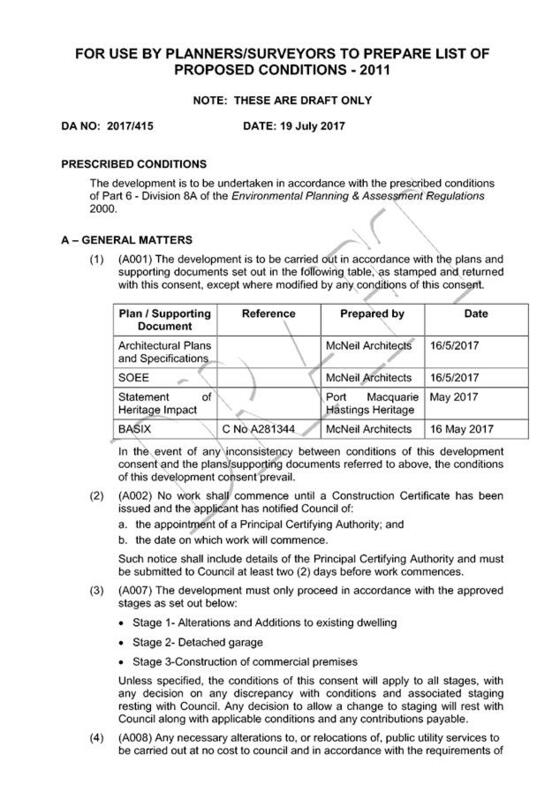 That the Minutes of the Development Assessment Panel Meeting held on 12 July 2017 be confirmed. 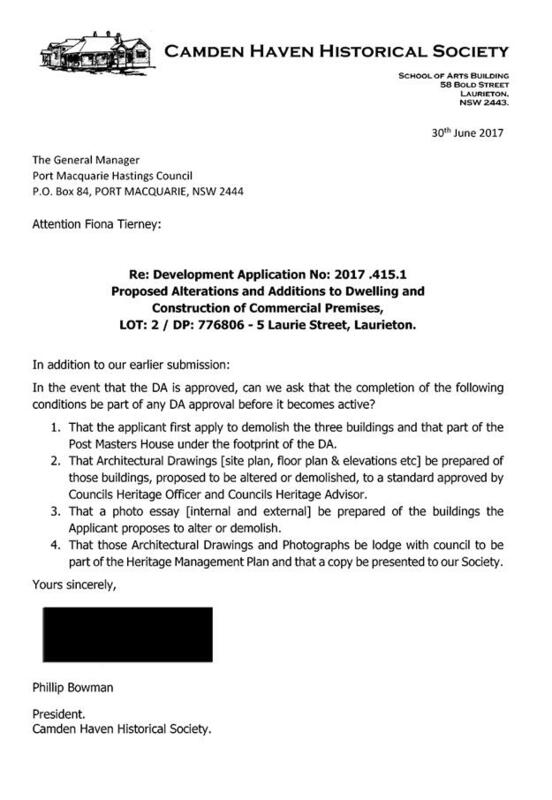 That DA2017 – 282.1 for a dwelling at Lot 54, DP 1226839, No. 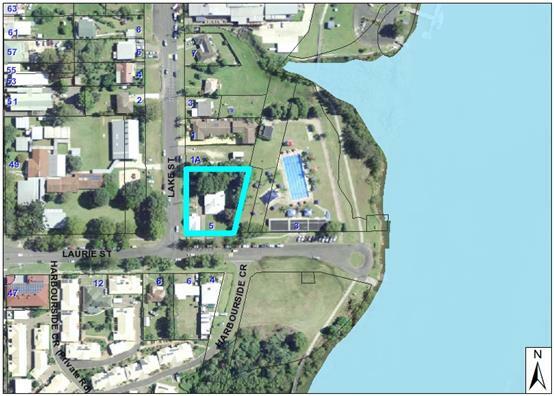 47 Summer Circuit Lake Cathie, be determined by granting consent subject to the recommended conditions. 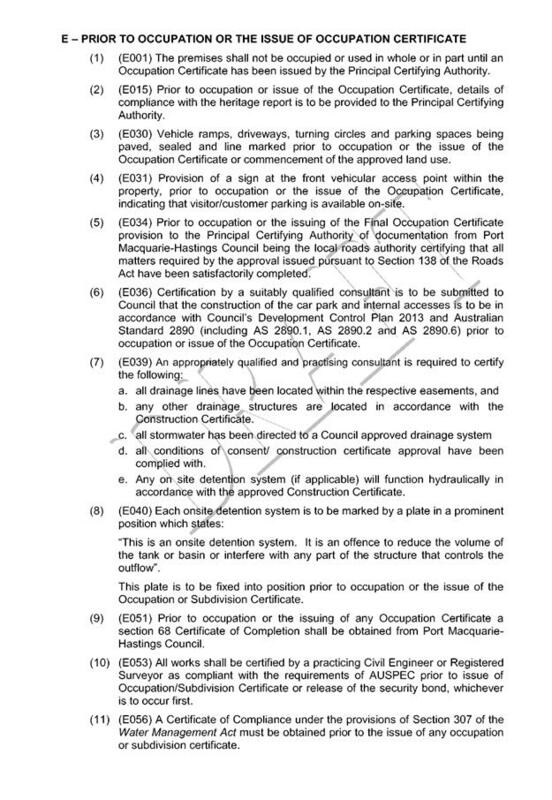 Amend condition E(4) to read: ‘A non-climbable screen is to be constructed between the caravan port slab and the boundary fence achieving a minimum height of 1.8m above the caravan port slab level. 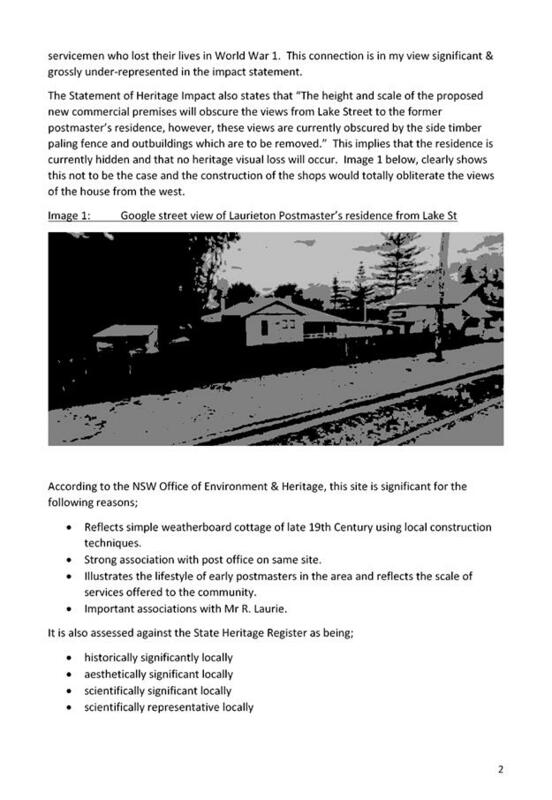 The screen is to extend for the full length of the caravan port slab adjacent to the boundary and is to meet the minimum privacy screen standards (in terms of transparency) outlined in State Environmental Planning Policy (exempt and complying development codes) 2008. The meeting closed at 3:33pm. That DA 2017 - 415 for alterations and additions to existing dwelling and construction of commercial premises at Lot 2, DP 776806, No. 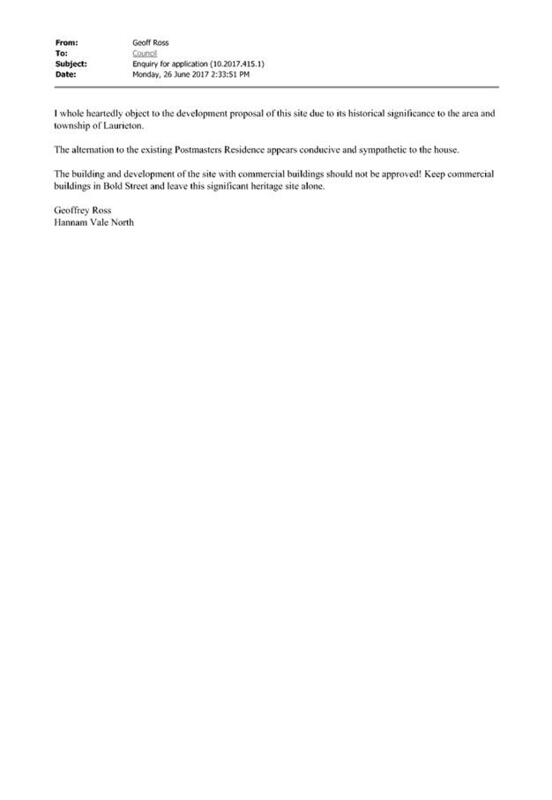 5 Laurie Street, Laurieton, be determined by granting consent subject to the recommended conditions. 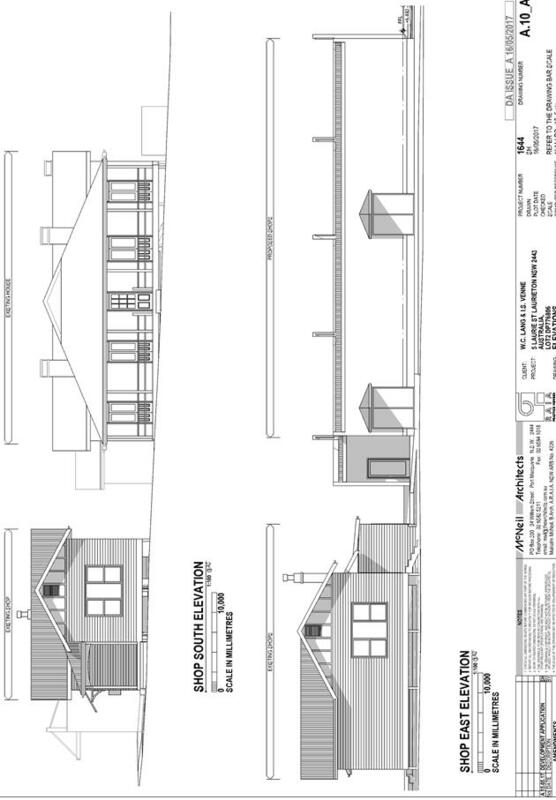 This report considers a development application for alterations and additions to a dwelling and construction of a commercial premises at the subject site and provides an assessment of the application in accordance with the Environmental Planning and Assessment Act 1979. Following exhibition of the application, 11 submissions have been received. The site has an area of 2028m2. · Construction of commercial/retail development facing Bold St. including signage and off-street car parking. 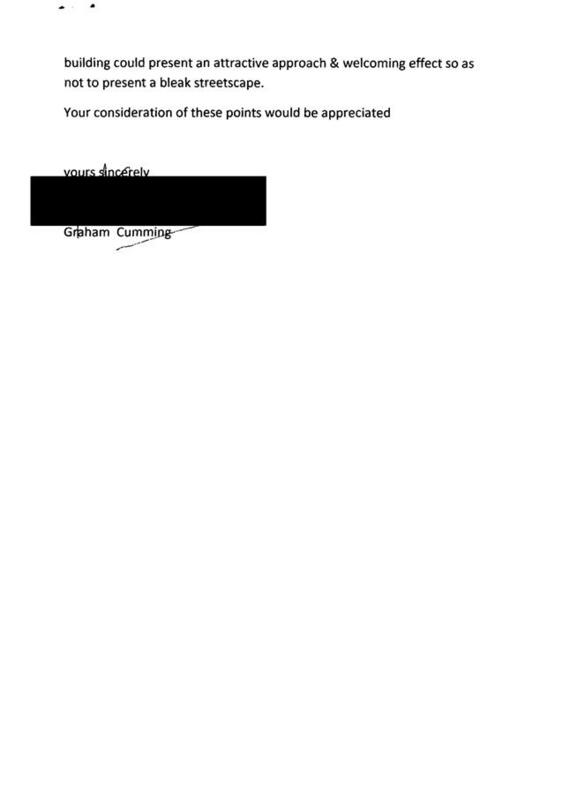 · 17 May 2017 - Application lodged. · 30 May 2017 to 13 June 2017 - Application notified to neighbours. · 14 June 2017 to 30 June 2017 Notification period further extended. Given the nature of the proposed development and proposed stormwater controls the proposal will be unlikely to have any adverse impact on existing aquaculture industries within the Camden Haven River. The proposed development does not include proposed advertising signage- separate application will be required to be made with each first use application. j) development relying on flexible zone provisions. The site is predominately cleared and located within an area zoned for business purposes. · Clause 2.2, the subject site is zoned B2 Local Centre. 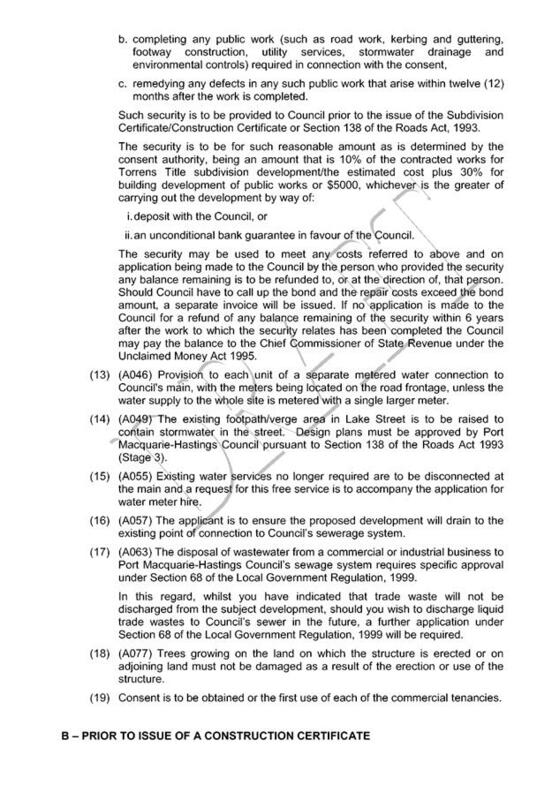 In accordance with clause 2.3(1) and the B2 zone landuse table, the proposed development for a commercial premises is a permissible landuse with consent. In relation to the additions to the existing dwelling it is noted that single dwellings are prohibited in the B2 zone. However, ‘existing use rights’ for the purpose of a dwelling is enjoyed noting that the dwelling has been in existence prior to current planning controls. o To provide a wide range of retail, business, entertainment and community uses that serve the needs of people who live in, work in and visit the local area. o To encourage employment opportunities in accessible locations. o To maximise public transport patronage and encourage walking and cycling. o To ensure new developments make a positive contribution to the streetscape and contribute to a safe public environment. o The development would provide additional services and employment opportunities in an accessible location meet the needs of the community. 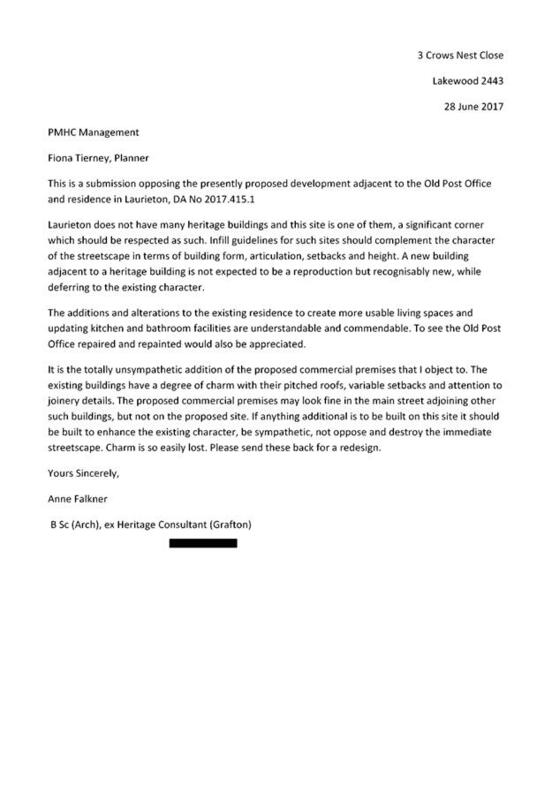 o The proposal has been designed to have regard to the geritage values on the site whilst still positively addresses the public domain. 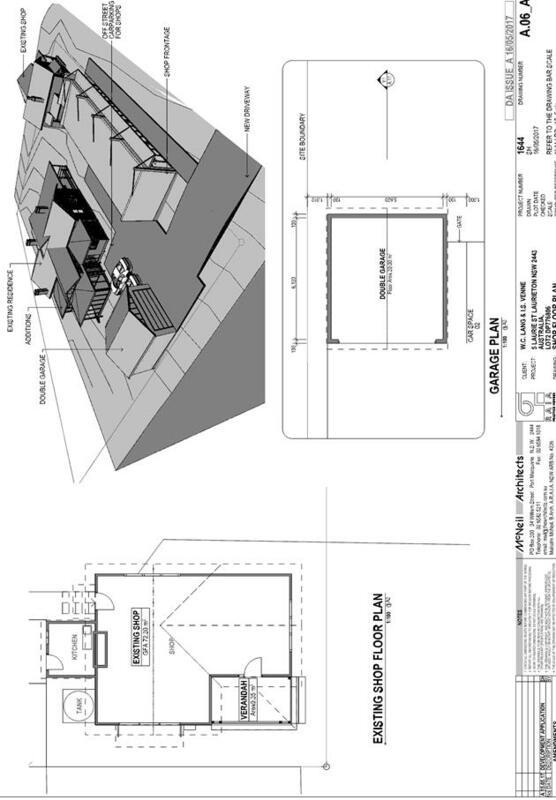 · Clause 4.3, the maximum overall height of the building above ground level (existing) is 5.5m which complies with the standard height limit of 8.5m applying to the site. · Clause 4.4, the floor space ratio of the proposal is 0.19:1 which complies with the maximum 1.00:1 floor space ratio applying to the site. 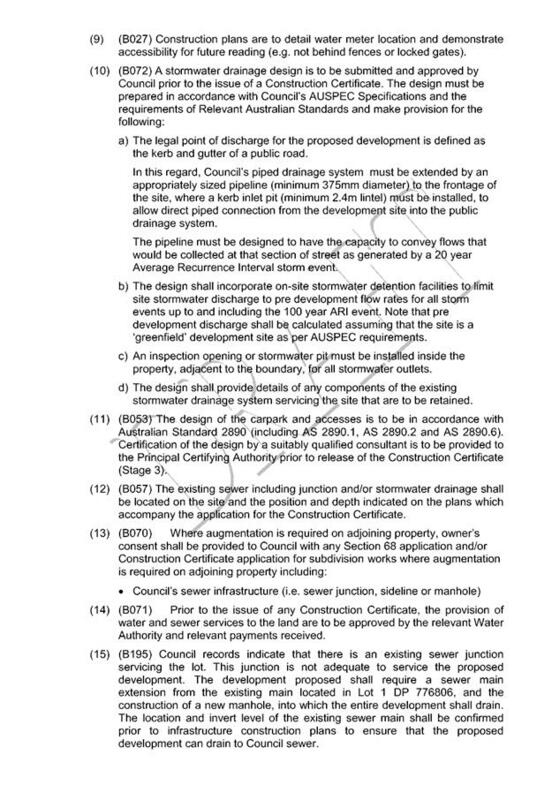 · Clause 5.5 - Development within the coastal zone - relevant objectives of this clause are addressed by SEPP 71 section (see above). 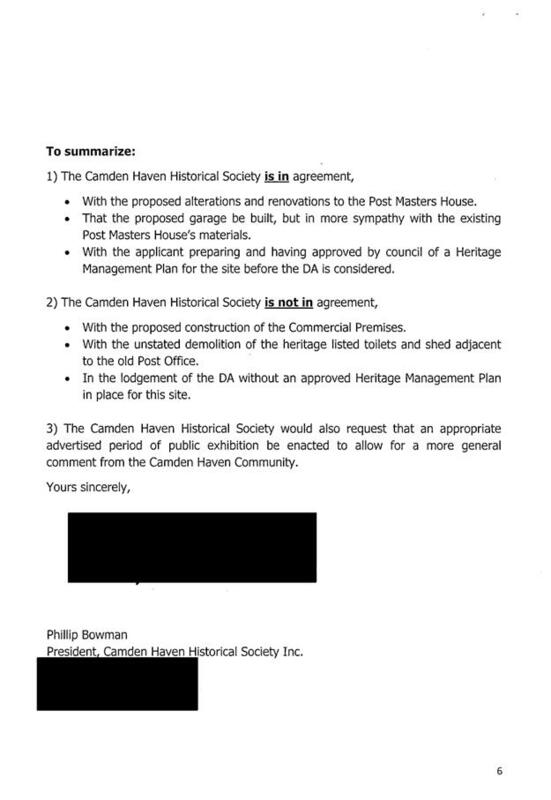 ‘The architect and owners adopted much of the Heritage Advisors’ advice. The development design process has been consultative. 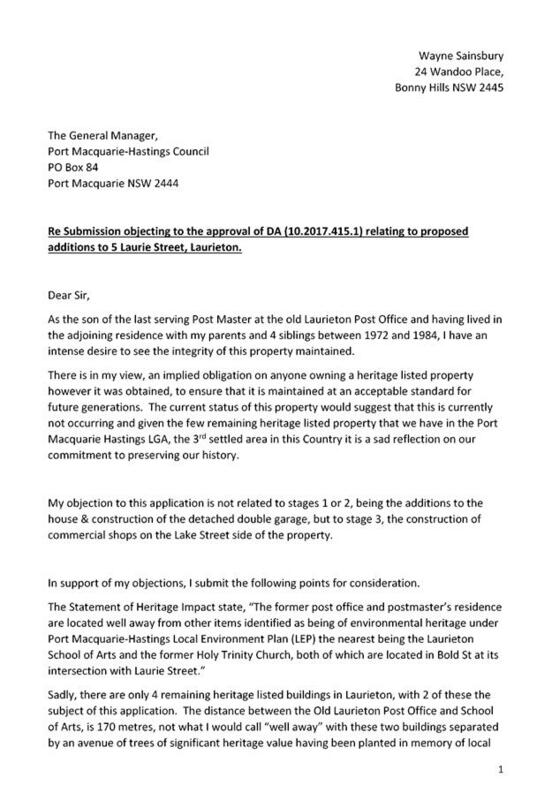 The retail component of the proposal, referred to as Stage 3, along with the Garage as Stage 2, were discussed in principle, with my advice being that the Garage should reference the Post Office building with a gabble end, anchoring the western end of the site. 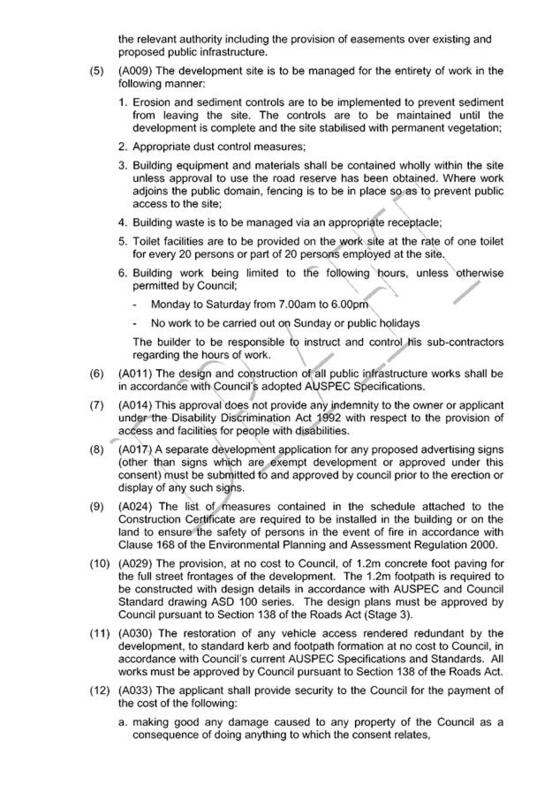 the building, and a disabled toilet being provided for all retail tenanted facilities on the site as would be required by the Building Code of Australia. It necessitated the loss of the outside closet building, which could be moved elsewhere on the site if possible. In all, I am satisfied with the proposal and its forma and response to the heritage character of the site. The site has, but for the hairdresser, been unoccupied and underutilized for many years. It is to the building’s and site’s advantage to be again occupied and activated. I have reservations as to the viability of retail tenancies in this location, however my understanding is that it is a permissible use in this locality. 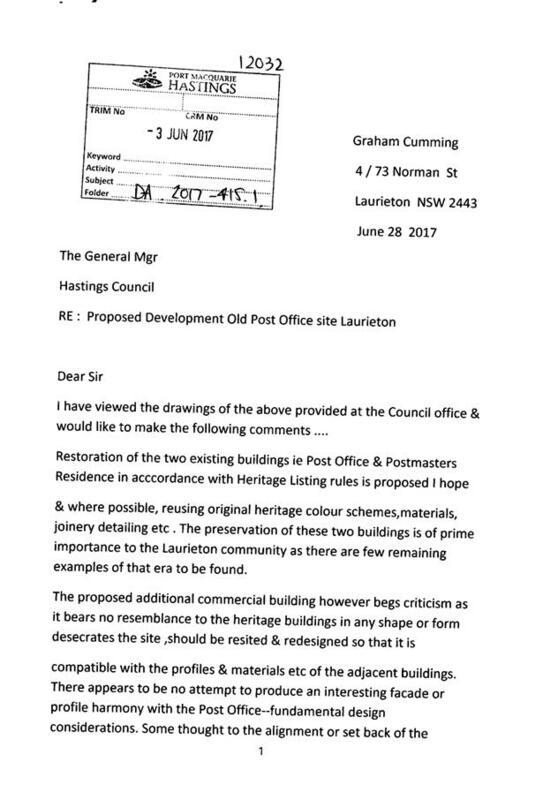 Street elevations of the property and the positive potential that activating of the street edge has in the Laurieton town centre. 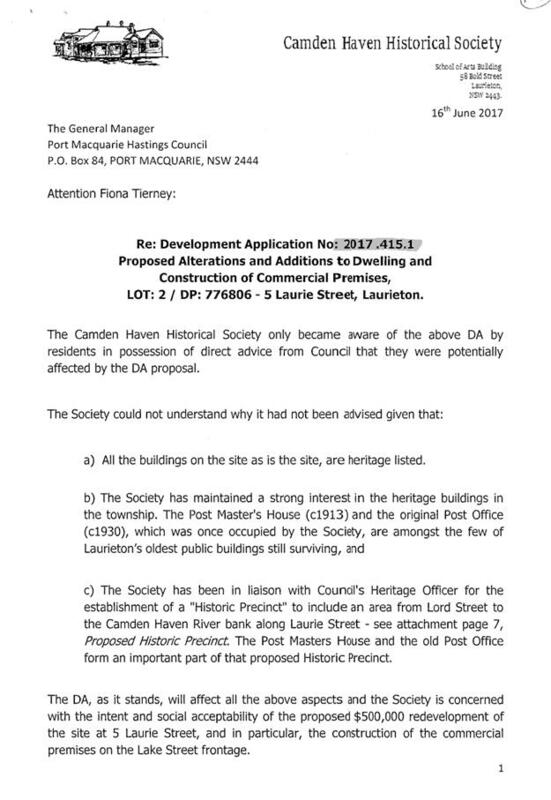 The proposed Garage makes direct reference to the architectural and stylistic language of the existing heritage buildings and particularly the Post Office. It has been designed following Council consultations and the finished proposal is a reflection of the advice they were given. The side elevation of the Postmaster’s residence will be shielded from Bold Street as a result of the retail development. This is a good thing for the occupants of the residence in providing privacy to their yard. It also masks the additions to the residence, even though they are completely congruent with the form and character of the building. believe, a lightweight and barely perceptible element in the development. The colour scheme and materials selection for the retail section of the development need to be clarified. The Residence is being painted in the same colours as is at present and in weatherboard cladding to my understanding. This is an appropriate result. 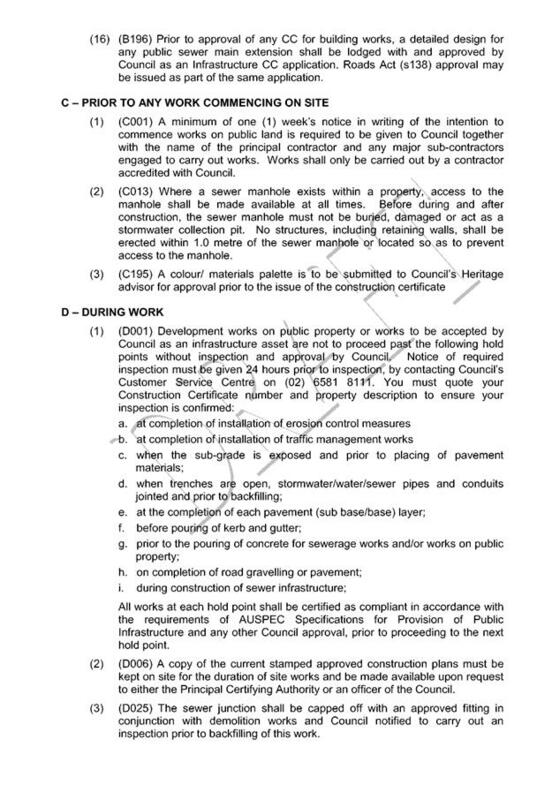 Clause 7.13, satisfactory arrangements are in place for provision of essential services including water supply, electricity supply, sewer infrastructure, stormwater drainage and suitable road access to service the development. Less than 1m of cut or fill proposed outside building walls. Single driveway crossing of acceptable width. Off-street parking in accordance with Table 2.5.1. Table 2.5.1 1 Space per 30m2 gross leaseable floor area. The proposal includes 120m2 commercial floor area therefore 4 spaces are required. A total of 4 off-street parking spaces are proposed- one of which is accessible. Existing shop (old post office building) does not have formal parking provided but space available in existing driveway and street (status quo remains). Parking layout capable of complying. Conditions recommended requiring certification at Construction Certificate and Occupation Certificate stage. Parking area located behind commercial component. Perimeter landscaping of the parking area is possible with the layout. Internal tree planting not considered necessary for the scale of the parking area. The proposed development is consistent with the objectives and strategic actions of this policy. See comments under SEPP No. 71 earlier in this report. 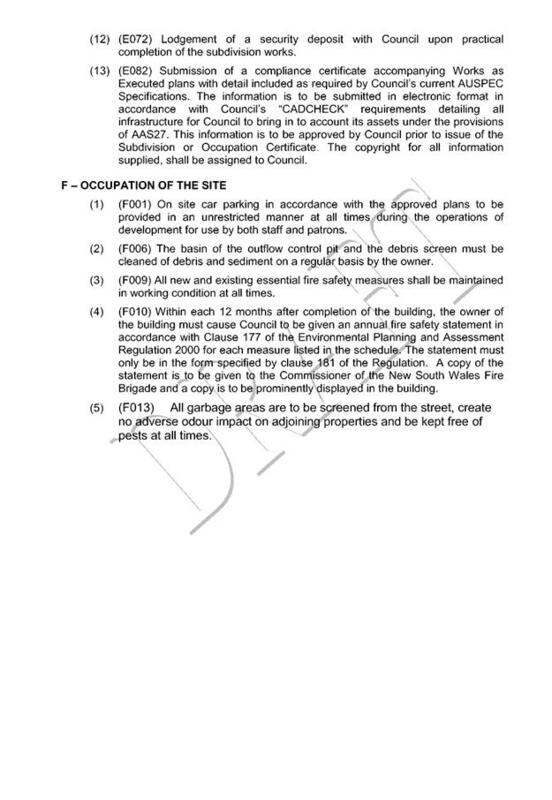 Demolition of the existing buildings on the site is capable of compliance with this Australian Standard and is recommended to be conditioned. The site has a street frontage orientation to Lake Street (Commercial component) and Laurie Street (Residential component). Adjoining the site to the north is a Telstra Facility. Adjoining the site to the east is a public swimming pool facility. Adjoining the site to the south are one and two storey dwellings on the southern side of Laurie Street. 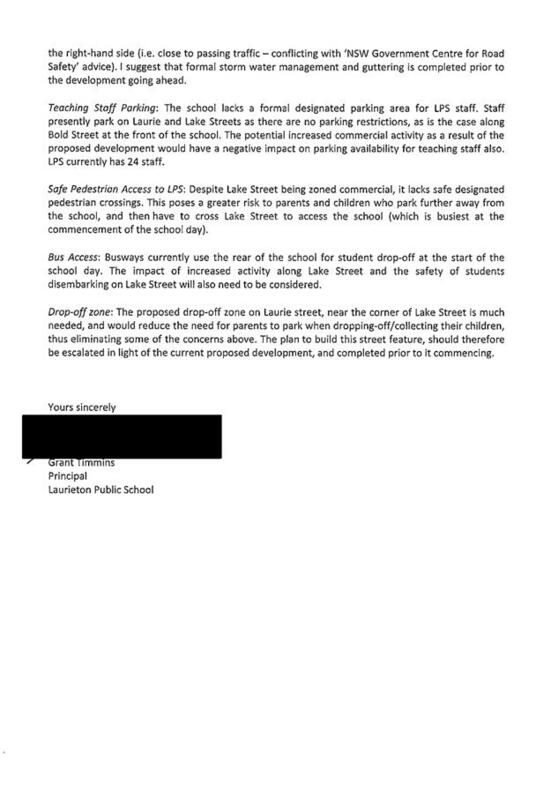 Adjoining the site to the west is Laurieton Public School. The broader locality includes a substantial number of community uses including the swimming pool, school and movie theatre. The proposal is considered to be compatible with other residential, community and business development in the locality and adequately addresses planning controls for the area. 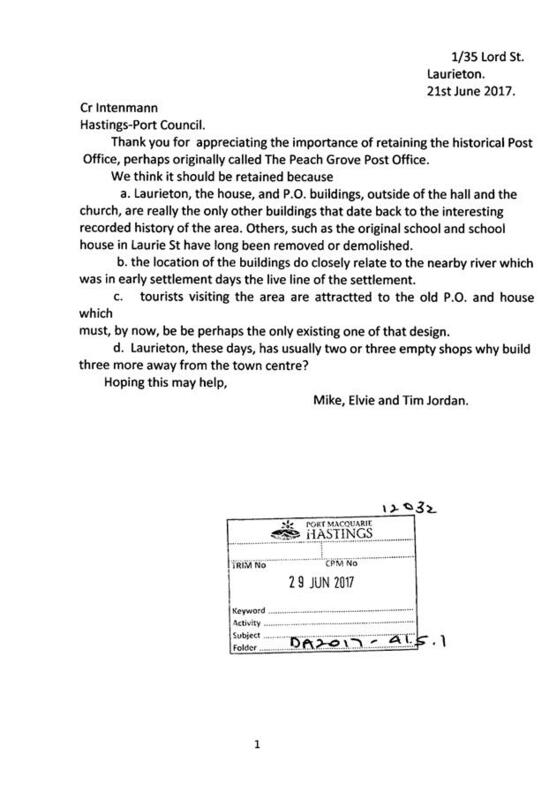 The site has road frontage to Lake Street and Laurie Street, both of which are Council-owned and maintained roads. Lake Street is denoted as an urban collector road, with a carriageway width of approximately 11-12m within a 30m wide reserve. The site frontage (eastern side of road) is bordered by upright (SA) type kerb and gutter, while the western side has a sealed shoulder draining to a grass swale. Laurie Street is similarly 12m wide within a 30m wide reserve, although it is classified as a commercial road to the west of the site, transitioning to a local street classification from the site and east. Both sides of Laurie Street have upright (SA) type kerb and gutter. Within Laurie Street exists a concrete footpath. 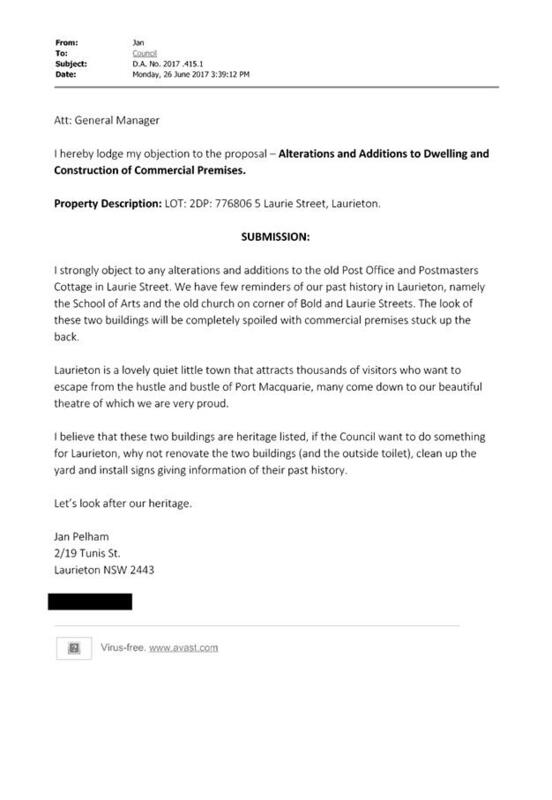 The proposal has included details of a new concrete footpath to be constructed from the intersection of Laurie and Lake Streets north along the frontage of the site and new commercial tenancies. This work is required by Council’s footpath for developments policy due to the likely intensification of pedestrians. The site is currently comprised of a single dwelling (the Postmaster’s House) and a small commercial tenancy (the old Post Office). 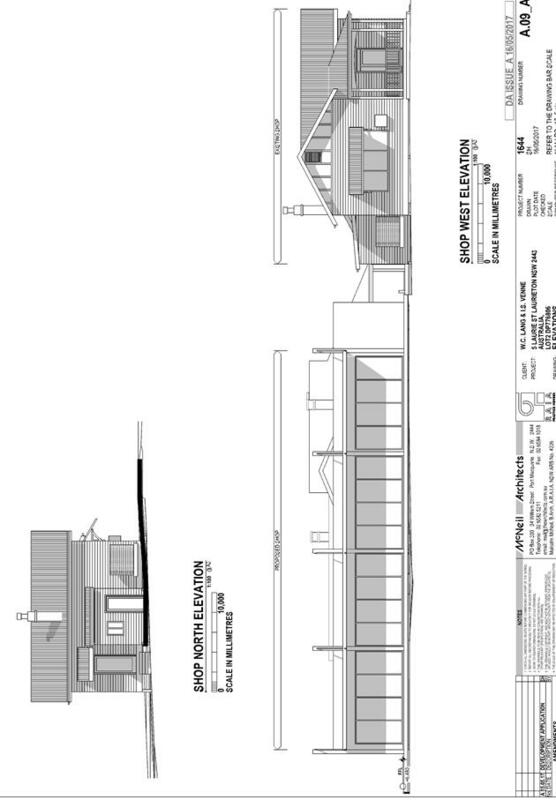 The proposal is to construct 120 square metres of new commercial floor area (two shop tenancies). Traffic generation rates for this type of use vary widely depending on a range of factors. The location would be expected to generate a lower traffic count than those that RMS have provided in the Guide to Traffic Generating Developments 2002, which are based on data from Sydney. The rate the Guide provides for slow trade retail is 10.7 peak hour vehicle trips per 100sqm GFA, or 56 daily vehicle trips per 100sqm GFA. For the development proposal this equates to a total of 13 trips during the peak hour (for retail this is likely to be Saturdays around lunch), and 67 trips daily. 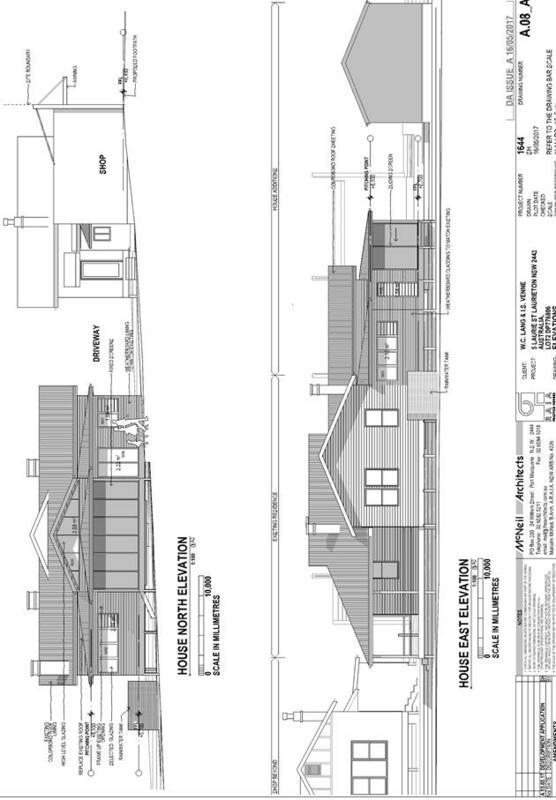 The proposal also represents a 62 square metre addition in floor area for the dwelling. 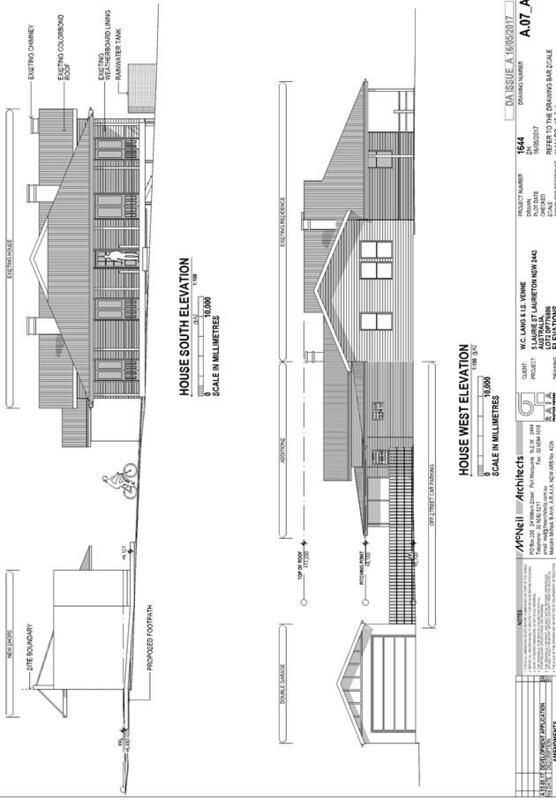 Because additional residents (1 new bedroom) will still reside in the same dwelling, the increase in traffic associated with this addition is considered not significant. The traffic associated with the development is unlikely to have adverse impacts to the existing road network within the immediate locality. 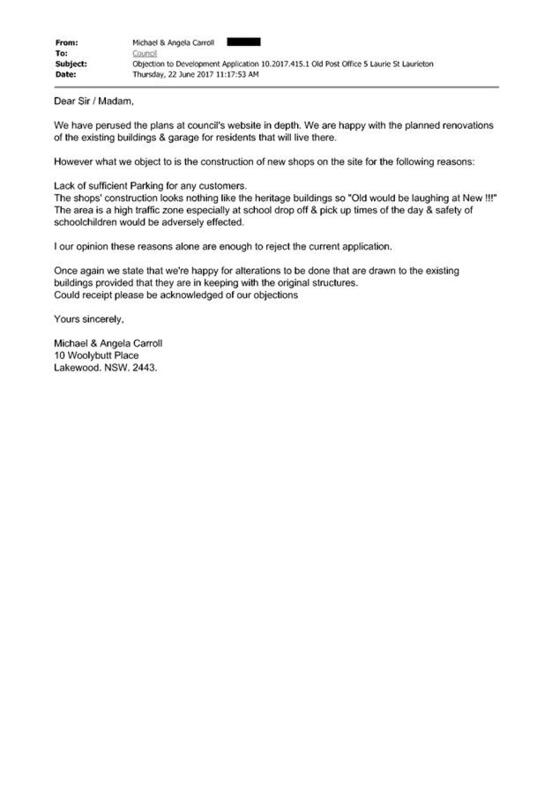 Vehicle access from Lake Street to the site is proposed though a new driveway shared by the residential garage and the commercial carpark. Access shall comply with Council AUSPEC and Australian Standards, and conditions have been imposed to reflect these requirements. A total of 4 new parking spaces (including one accessibility space and shared area) are proposed in connection with the new commercial floor area. Council’s Development Control Plan requires that onsite parking is to be provided at a rate of 1 per 30 square metres for general commercial or retail uses, which for 120 sqm equates to 4 spaces. 2 parking spaces have been provided on-site within a new garage for the dwelling. The DCP minimum requirement is 1 space per dwelling. 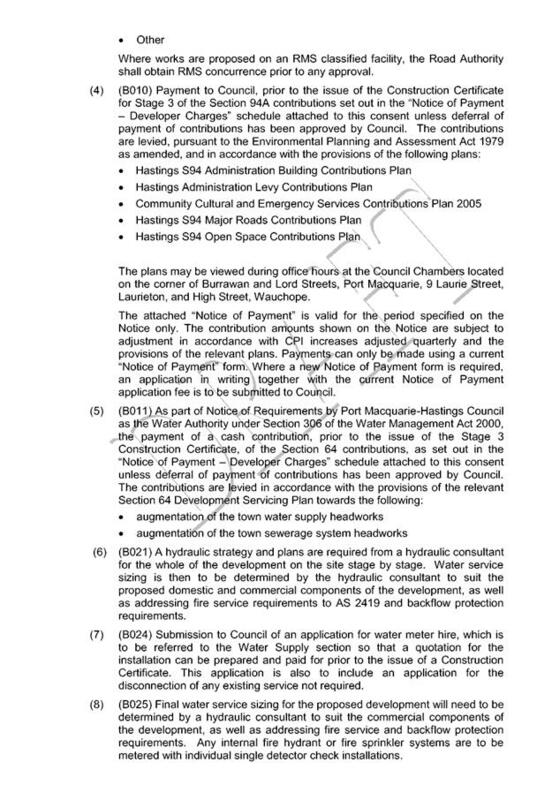 Council records indicate that the existing development site has a 20mm metered water service which requires disconnection. 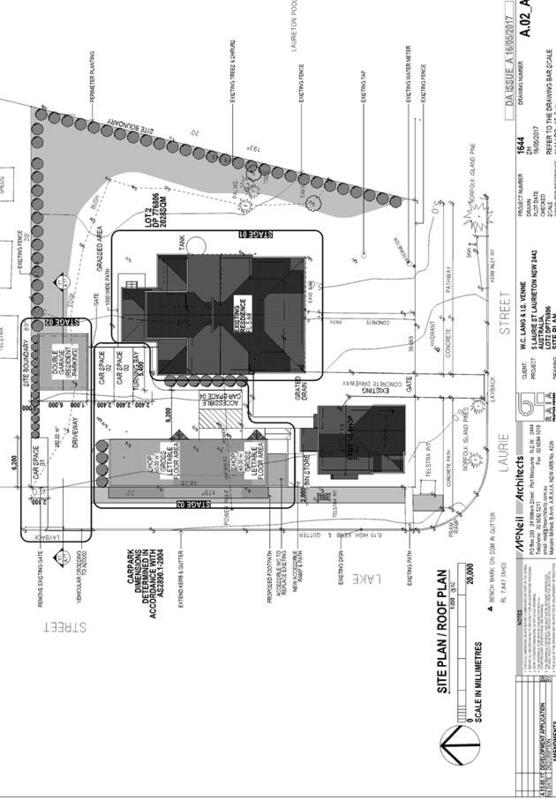 The proposed development shall require a 25mm metered water service with RPZ backflow protection at the boundary. Final water service sizing will need to be determined by a hydraulic consultant to suit the domestic and commercial components of the development, as well as fire service and backflow protection requirements. 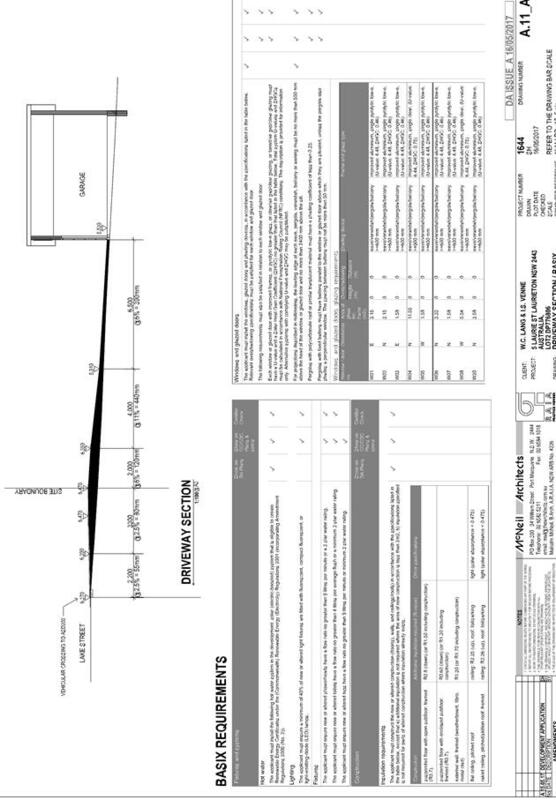 A sectional detail of the proposed driveway is required detailing the exact location of the water main and the depth of the water main. The details shall include the cover provided to the water main in relation to the heavy duty pavement. The existing water main is asbestos cement and shall require replacement along the proposed driveway section in accordance with Aus-Spec subject to the cover requirements. Design details shall be provided as part of the Section 68 and Section 138 applications. 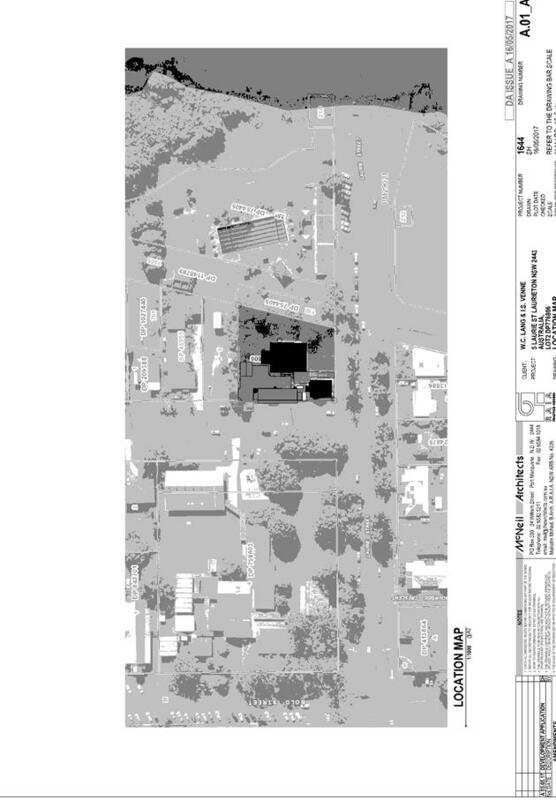 Council records indicate that the development site will be connected to sewer via a junction connection to the sewer main located in the north eastern corner of the lot. The site naturally grades towards the east. 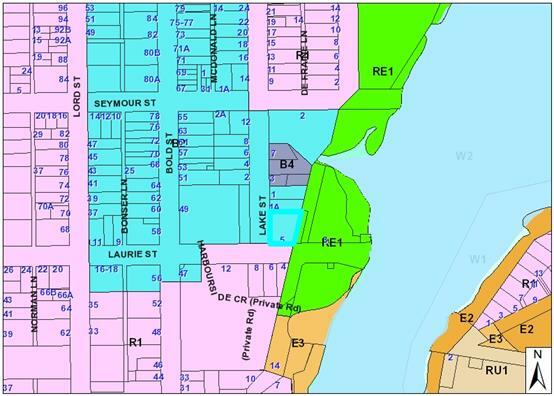 Existing drainage arrangements are not shown in Council’s mapping system. 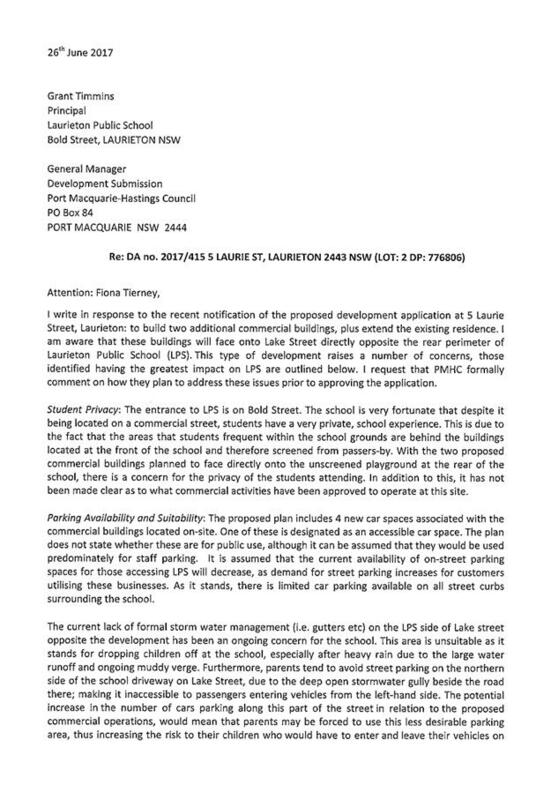 The legal point of discharge for the proposed development is defined as a direct connection to Council’s stormwater pit/pipeline within Laurie Street. Stormwater from the proposed development is planned to be disposed of via the existing Council kerb convertor which is consistent with that requirement. 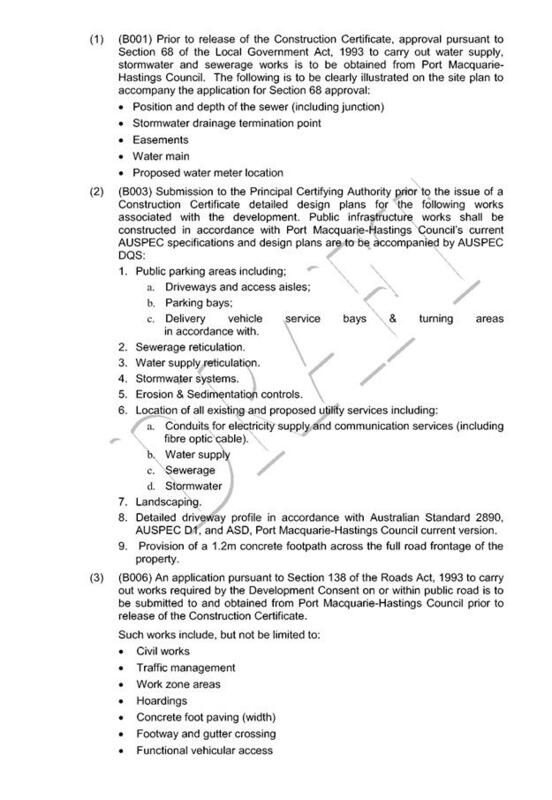 · On site stormwater detention facilities (or onsite rainwater reuse at a rate of 2.5 cubic metres for each 1 cubic metre of detention volume required. The proposal includes measures to address energy efficiency and will be required to comply with the requirements of the Building Code of Australia. No adverse impacts anticipated. Condition recommended restricting construction to standard construction hours. Eleven (11) written submissions have been received following public exhibition of the application. Inclusion of a commercial aspect will assist with activating the site. 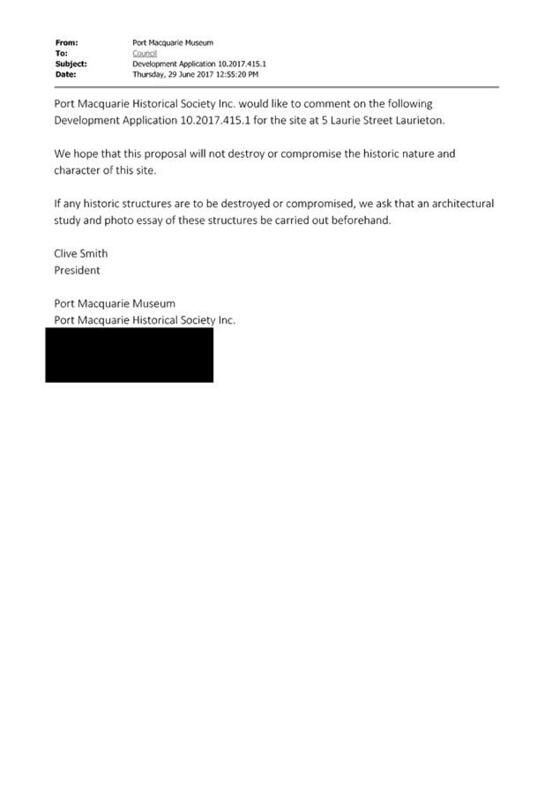 It is considered that the benefits of greater activation of the site and renovation and maintenance of the existing buildings will stop the decline of the building fabric and preserve the site and buildings for future generations. 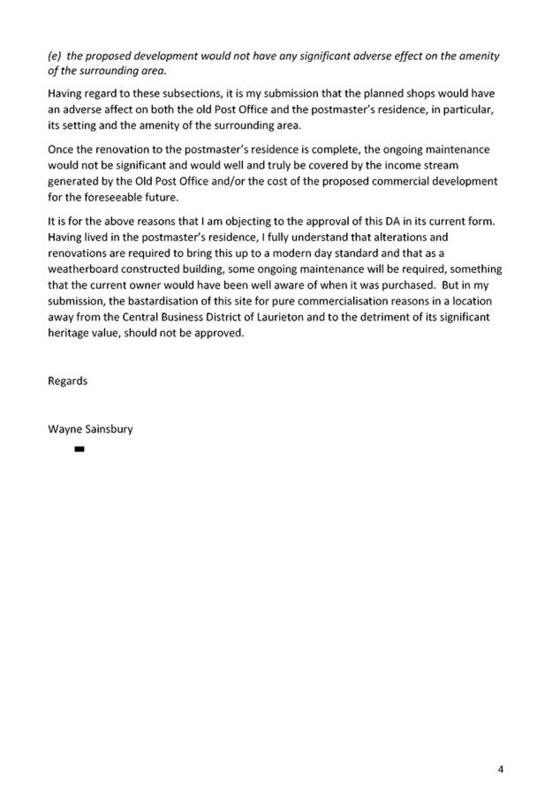 In this regard the scale of the commercial buildings are low and simple and details of the materials and colours are to be approved by Council’s Heritage advisor prior to the issue of the construction certificate.  Photo record/essay of any works to be removed. A condition of consent will require any works to be removed to be documented. Commercial viability is not a consideration of Council and the use is permissible within the zone. The school is located in a high profile site open to public spaces. 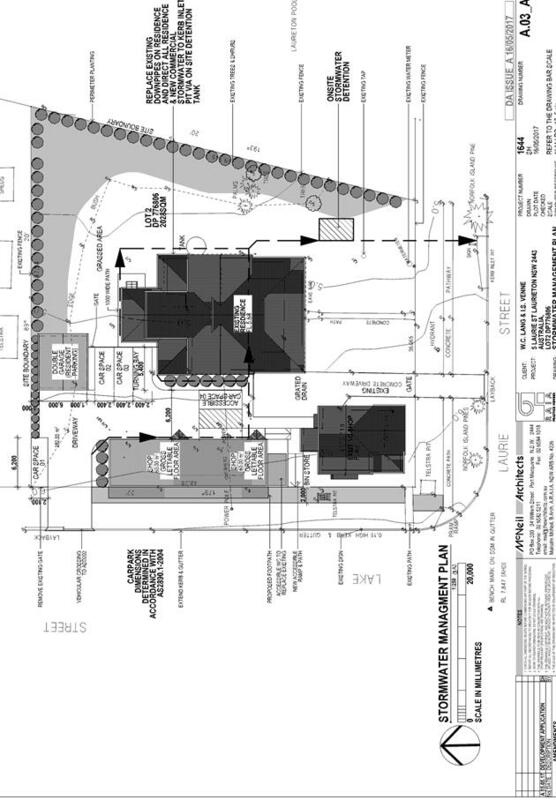 Development of adjoining sites is not considered to create unreasonable additional privacy impacts. The modest commercial development is not considered to create an unreasonable increase in additional traffic. Adequate parking has been provided on site and the road is capable of accommodating any additional traffic that may be created as a result of the development. Parking has been provided on the site in accordance with the DCP requirements to adequately accommodate the demands of the development. 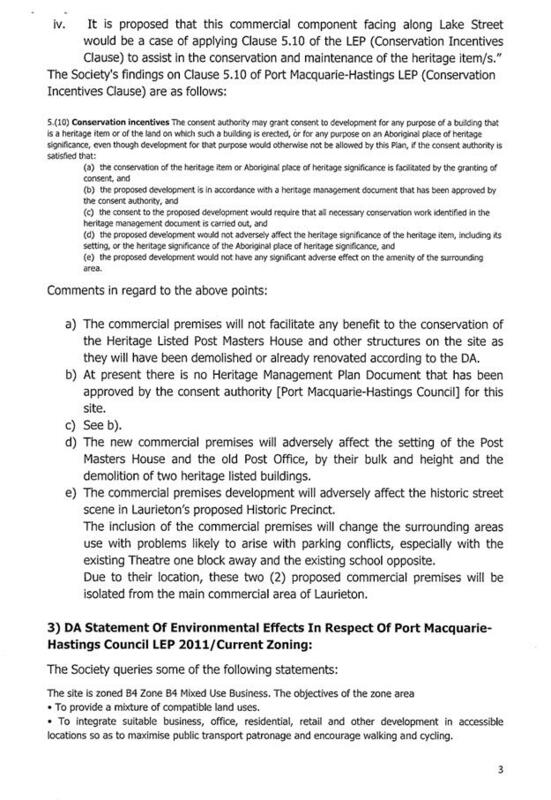 Acknowledged and assessed as part of the application – refer to heritage comments. The dwelling is proposed to be renovated and conserved as stage one of the proposal which achieves the objectives of this clause. 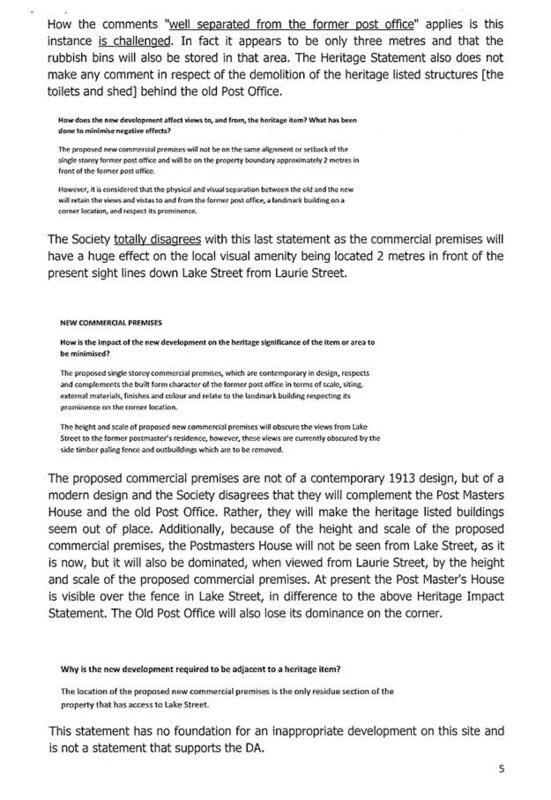 Loss of dominance of post office building on corner. The side area is somewhat screened by the existing fence. It is considered that the activation of the site and renovations will enable greater site awareness within the community and improve the appearance and appeal of the corner. 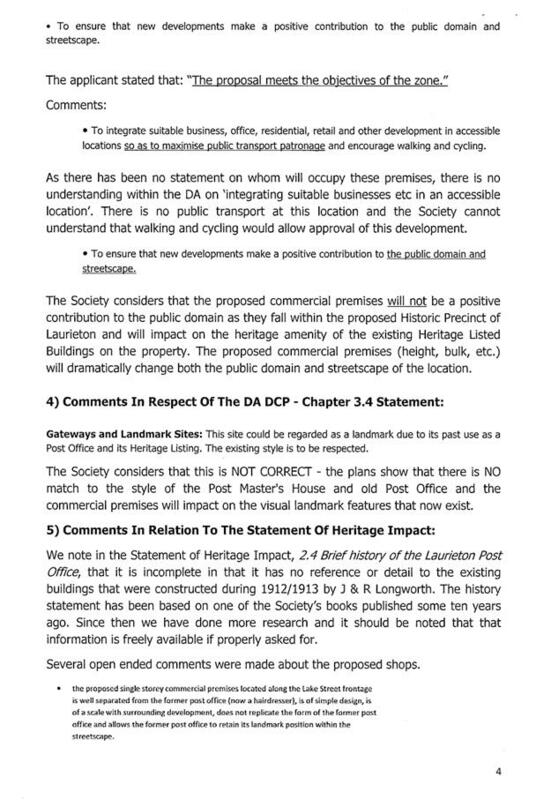 A heritage impact statement has been submitted- a Heritage Management Plan is not warranted in this instance. 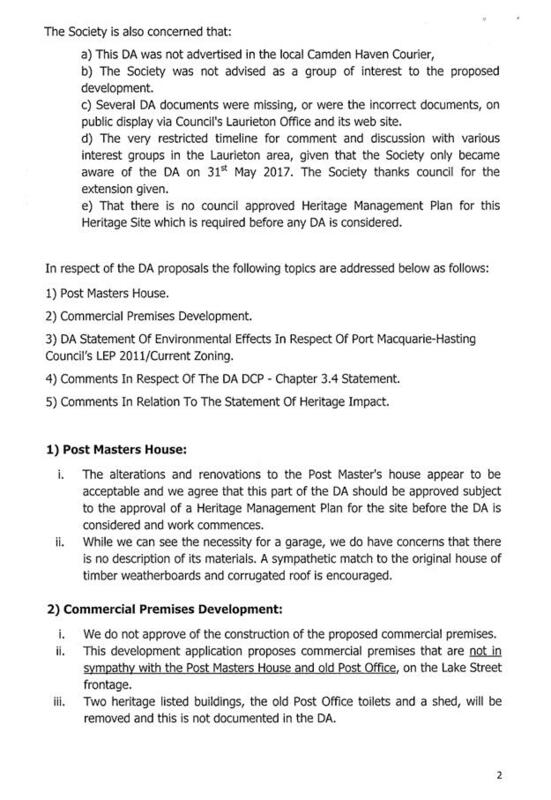 The proposed development satisfies relevant planning controls and is unlikely to impact on the wider public interest. 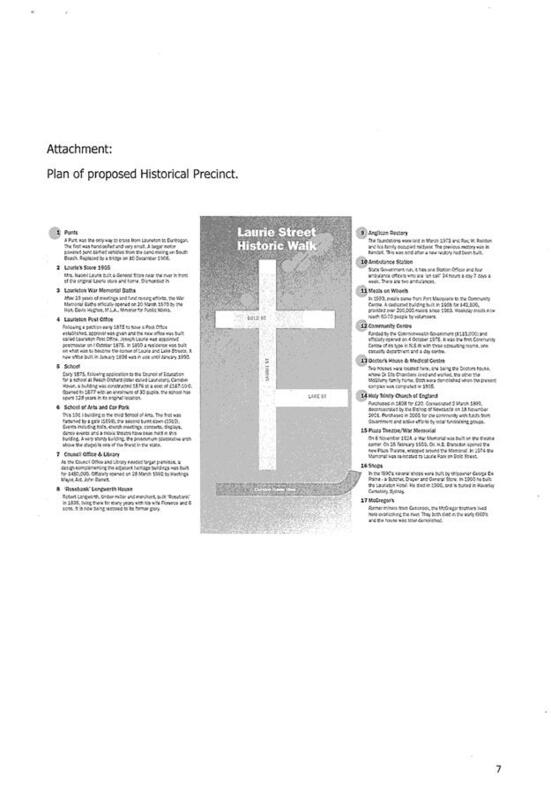 The site’s heritage values are considered to have been effectively taken into account on the design of the development. 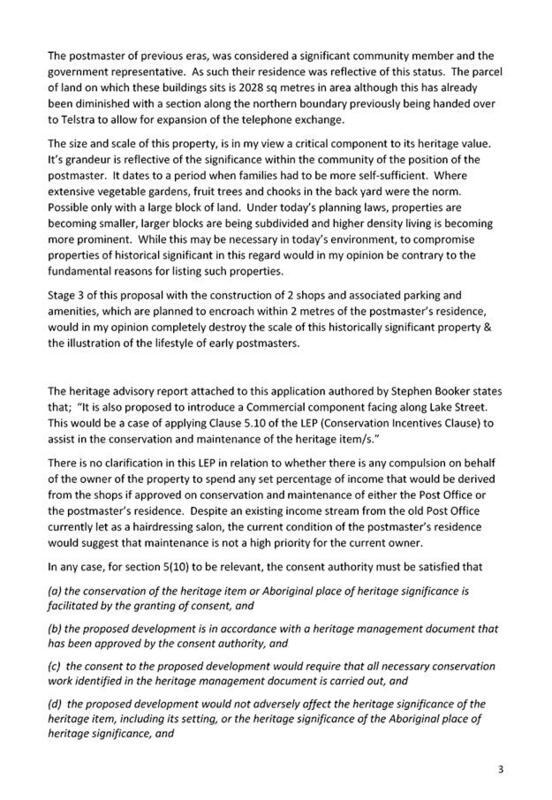 There are considered to be insufficient grounds to refuse the application based on heritage or public interest impacts.